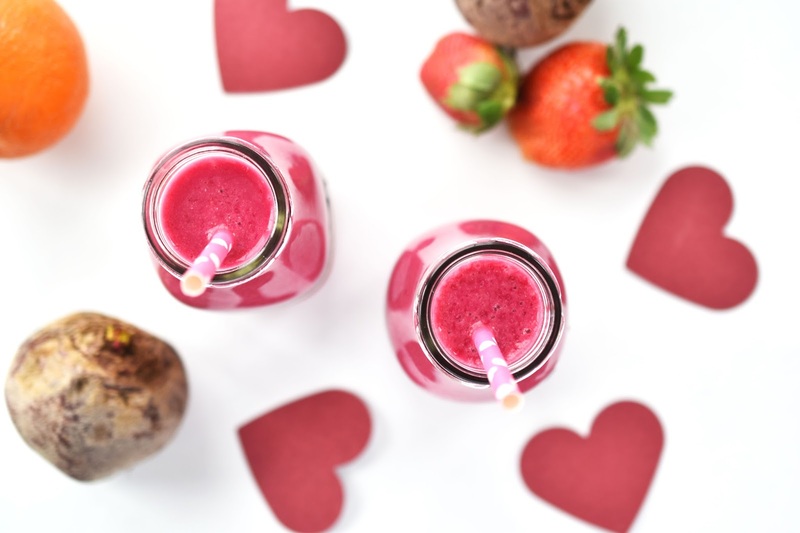 If your Valentine is still full on with his or her new year's health kick, this Beet-ing Hearts Blood Orange Smoothie is a great option for saying "I care." 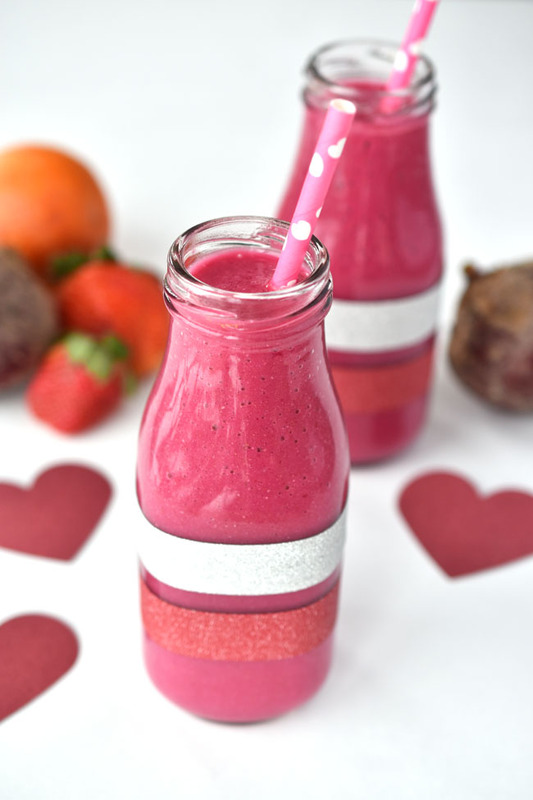 It's delicious, smooth, creamy and a bit sweet, while containing health-protective ingredients like beets, blood orange, strawberries, chia seeds and coconut oil. Step one in making these Beet-ing Hearts Blood Orange Smoothies is juicing a beet, along with a blood orange. 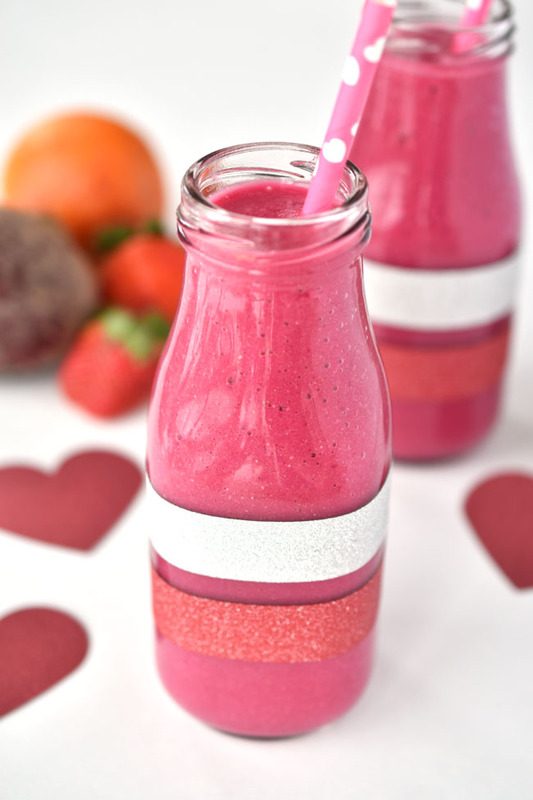 This creates a rich, colourful juice that gives the smoothies a deep pink hue that's appropriate for Valentine's Day. 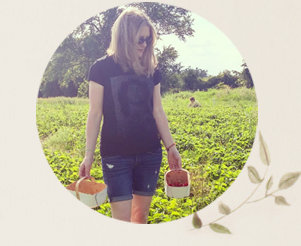 Love them or hate them (I love them! ), beets contain health-boosting vitamins and minerals such as B vitamins, iron, manganese, magnesium, copper and potassium. Studies show that consumption of beets may lower blood pressure, boost endurance, increase blood flow to the brain and improve liver function. 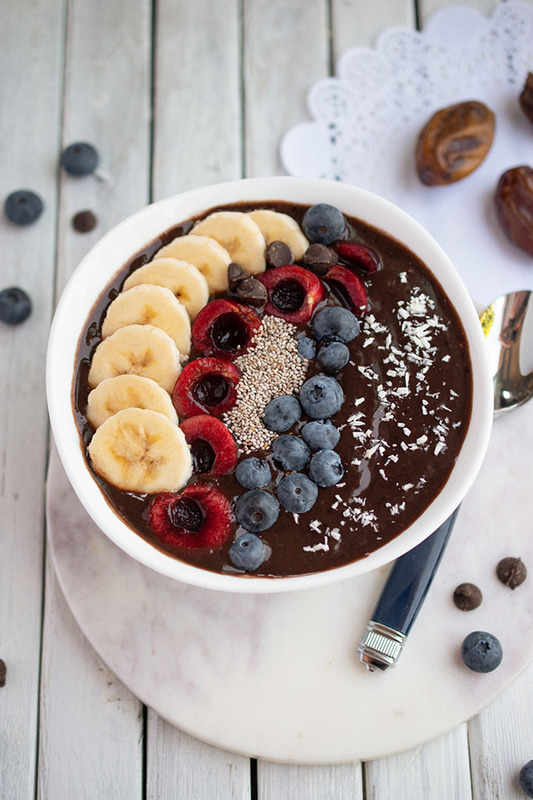 I also added chia seeds to this smoothie recipe, to give your loved one (and yourself) an additional nutrition boost, with protein, fibre and Omega-3 fatty acids. The recipe also calls for strawberries, a teaspoon of maple syrup (for sweetness) and bananas (for creaminess and body). The optional coconut oil is great for alleviating dry skin in winter. 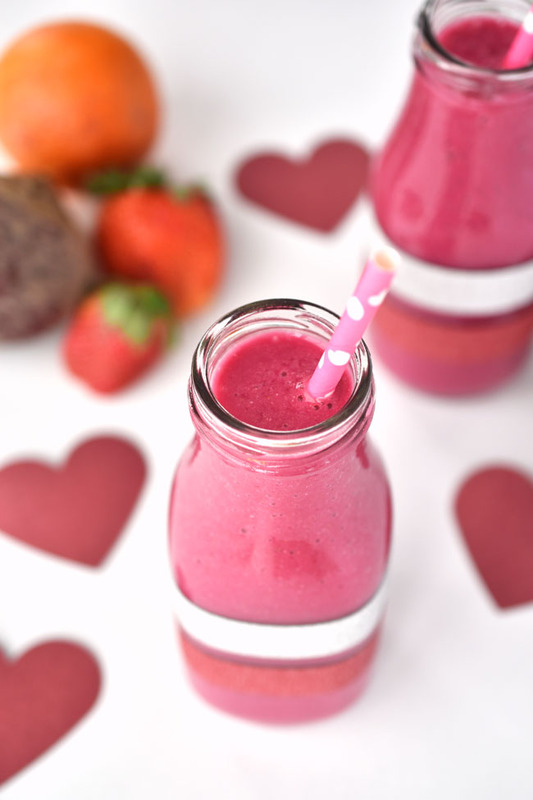 The Beet-ing Hearts Blood Orange Smoothie is a great option for a heart-healthy Valentine's Day breakfast or brunch. If your Valentine would also like a chocolate treat (we all deserve a little something, right? ), check out this recipe for Lovey Dovey Vegan Chocolate Bark. What about you? 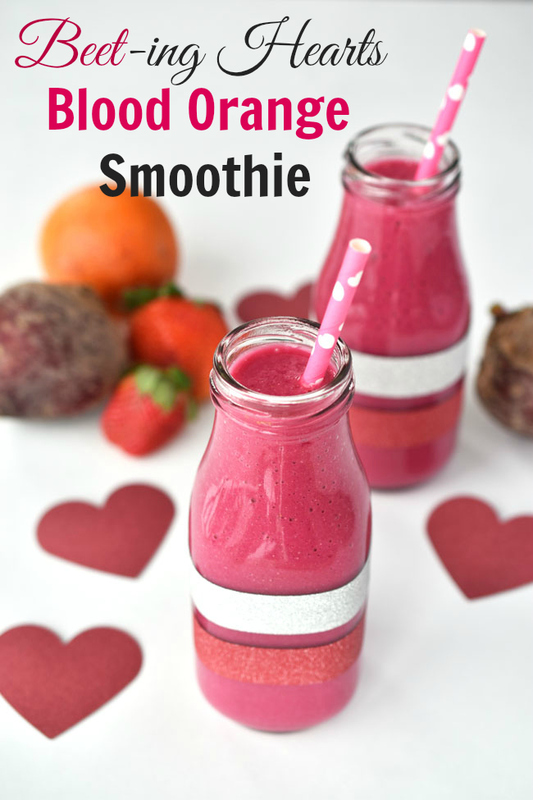 Would you like chocolate or smoothies or both for Valentine's Day? Juice the beet and the blood orange in a juicer. Add juice to blender along with other ingredients. Blend until smooth. Serve right away.